Sports Massage: A firm, functional massage helping to ease areas of tension and pain, increase mobility and relax the body. We treat people pre event/race to enliven the body and after to aid circulation and encourage healing of muscle tissue. Can help during pregnancy, for teenagers with growing pains, stressed out office workers – a variety of issues, you don’t have to be a sportsperson to need a massage! Kinesio Taping: Non restrictive elasticated taping to provide support, pain relief and improve circulation in painful joints and muscles anywhere on the body, very popular with professional sports men and women. Medical Acupuncture: Also known as ‘Dry Needling’, this is a quick, effective way to treat areas of muscular tension or ‘trigger points’ within the body. Great for people in regular training who need a speedy solution without the ‘after ache’ that sometimes a massage can give, or for chronic, long term pain issues. Needles are extremely fine, most people report they cannot even feel them! Nutritional Advice: Want to improve your diet? Preparing for a big event? Curious about Race day nutrition? Sarah will work with you to set an easy to follow menu plan for a 3-6 month period and will be available for consultation and advice throughout. Pilates: Sarah is a qualified Pilates instructor and offers 1-2-1 and small group sessions at your home. Perfect for those completely new to Pilates or coming back from an injury, she can help you master the basics and prepare you for signing up to a course of classes with a local instructor. Sarah teaches in Burpham, Peaslake, Shere, Merrow, West Clandon and Effingham. Email Sarah@PACETherapies.co.uk for info or to book. 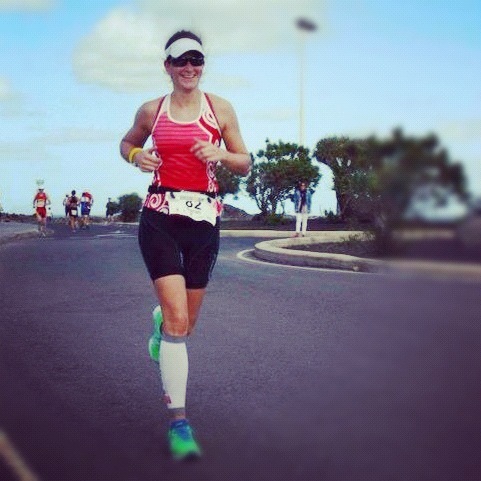 Having tried many sports over the years including Waterpolo, Horse Riding, Marathon running and Kickboxing, Sarah is now a keen triathlete to Ironman distance and can offer help and advice on finding a coach, training camps, choosing a race, kit, and of course which cake to enjoy afterwards!